Plant trees. 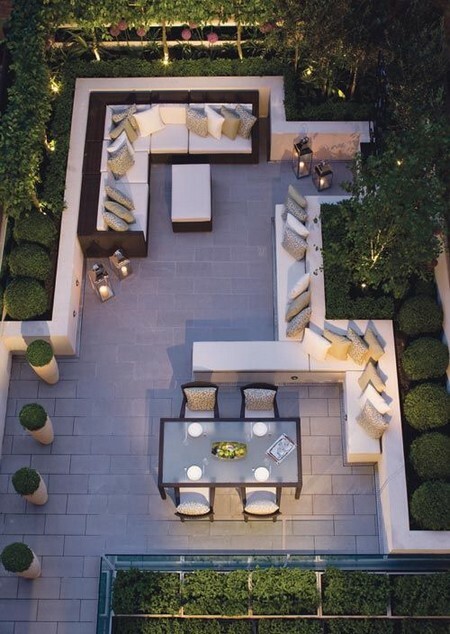 When the garden is long and narrow, and overlooked by tall buildings to boot, the problem of space becomes acute. 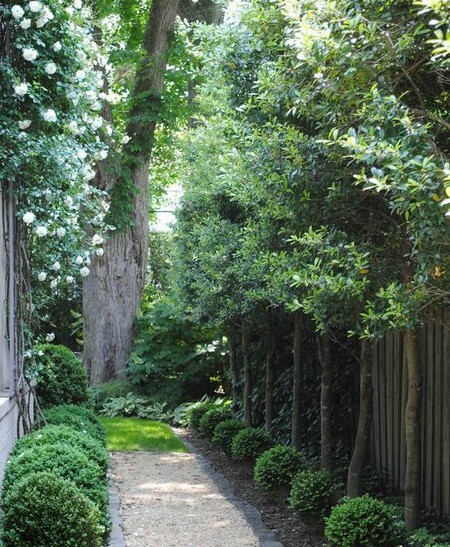 High walls would create a cooped-up feeling, and there just isn’t room for tall shrubs to spread themselves. Trees, quite substantial ones, provide the answer. They take up little usable ground space, as you can walk under them, while even the bare winter branches of deciduous trees give a sense of protection. Keep it simple. 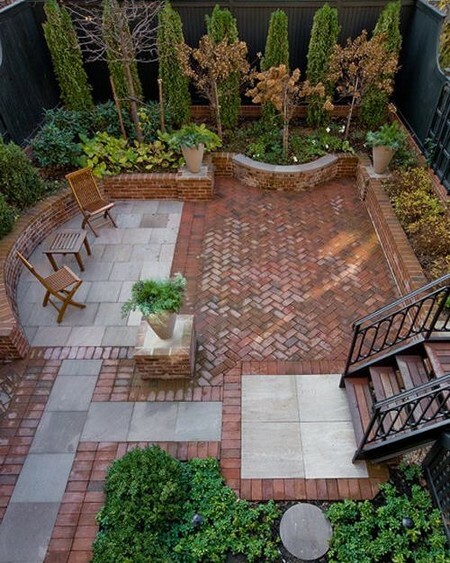 The plan is easy – virtually wall-to-wall paving, wide enough so that it doesn’t look like a path to nowhere, with the trees and lower plantings hard against the fences on each side. There’s subtlety, too, in the way that the corridor-like perspective is broken, first by changing the pattern of the bricks at each end, and then by the placing of two semi-circular beds that jut into the space at the far end so that you have to walk around them to the side gate. The car parking in the garden. lt is always desirable to be able to park your car off the street, but what do you do when you don’t have a garage and the car is parked in your garden? Here is solution – the car is let in through a roller-door, painted to match the walls, and is relegated to the street at weekends and when there are visitors. lts standing space then becomes a patio for people. A raised bed, squaring off the awkward angle of the plot, allows for some shrubs and flowers, but most of the greenery is provided by cladding the high walls all around with Virginia creeper, which needs no trellis to climb and takes up next to no ground area. 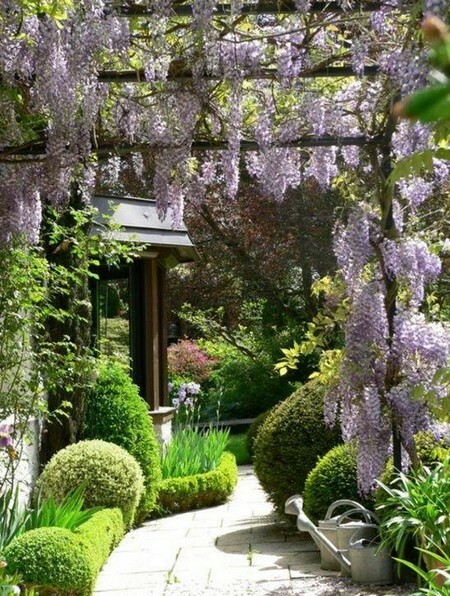 It could be augmented with flowering climbers like jasmine or morning glory, or even climbing roses if you wished. 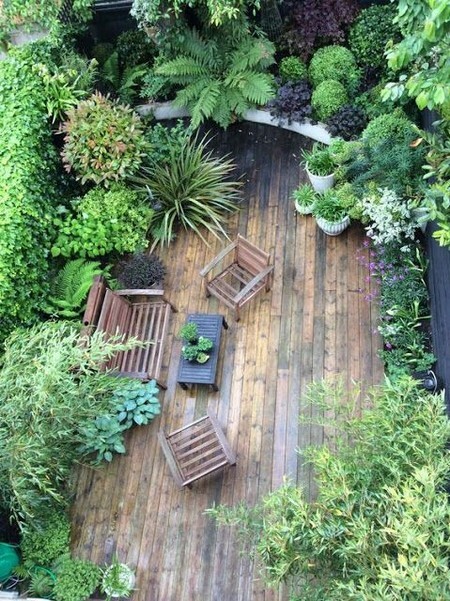 The dense foliage not only looks good, but it also cuts down the reflected heat from the masonry that used to turn the garden into an oven every summer. The eye is drawn down into the garden by the panel of lawn, in the center of which a tiny pond contains a single water lily. With pot plants moved into strategic positions, you’d hardly know the car had ever been there. Providing privacy. In a country garden, the question of privacy may hardly arise, while in a large suburban plot, there’s room for banks of shrubs, even if the fences are only 1.5 meters high. 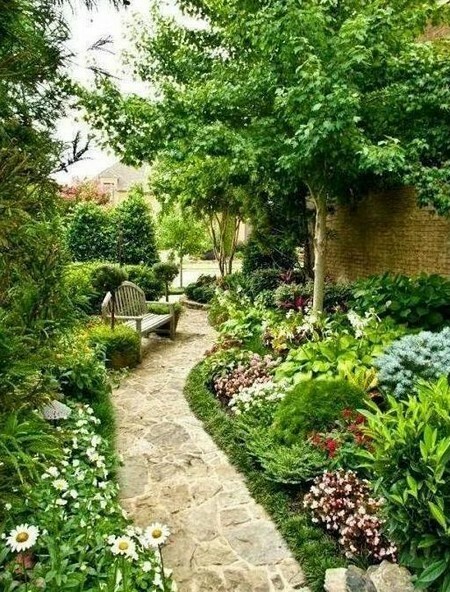 But in a very small space, the problem of ensuring that you won’t feel you’re conducting your life under the public gaze can determine much of your garden planning. Usually, it isn’t so much the presence of the neighbors themselves in their gardens (unless you happen to dislike them), but their windows – most of us find the idea of being watched by unseen eyes distinctly invasive and unnerving.